In the 80’s my parents begun looking around Spain for the area they considered most suitable for their own retirement. Dad had always said he would like to retire somewhere warm, Mum was less sure about the idea but agreed to look – the extra holidays were a bonus and she had always loved looking around show houses anyway! Having holidayed in various locations in Spain and other Mediterranean countries and islands they first considered the Balearics, but soon decided that mainland Spain would be their best option. They checked out the Costa del Sol market but settled on North Costa Blanca as they both loved the dramatic scenery. The Ap7 motorway from Alicante airport going north had yet to be built but was planned, so each trip they had to travel through Alicante city, along the coast road (the N332) through eajoyosa, Altea, Calpe, , then either head slightly inland before reaching Javea and Denia or turn off to follow the minor windy coast road to Moraira. Dad loved Moraira on the first visit. Back in the early/mid 80’s it wasn’t the slick up-market resort it was later to brand itself – sometimes referred to as the jewel in the crown of the Costa Blanca by estate agents in the early 2000’s. 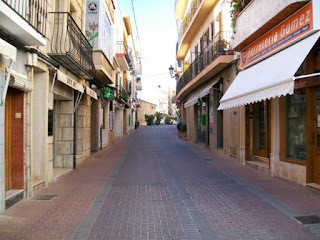 The town centre was small, old, and typically Spanish, a little tired and quiet. In fact, Dad once described it as ‘a bit like being in the wild west’! They recalled the tale of how they stayed in a rather shabby hotel in town and Dad announced this was where he wanted to live. Mum was not enamoured at all! However she agreed that IF they could find the right house she would be prepared to ‘give it 5 years’. Dad was still five years off retirement (which he would take at 60) so there was plenty of time, Mum figured, to change his mind! 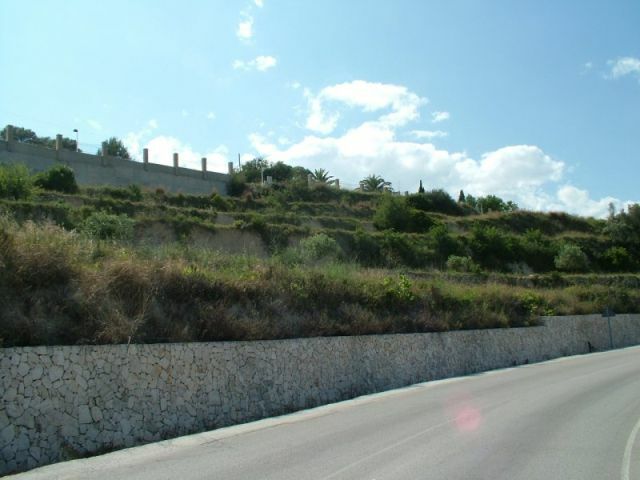 Several trips later they concluded that the only way to get the house they wanted was to have one built so they started to hunt for a plot of land in Moraira.